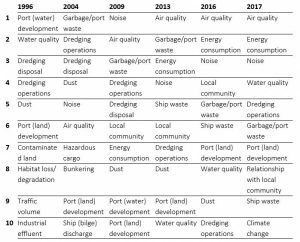 Ports have always seen the environment’s impact on their activities. In recent decades they’ve widened their view to the impact of their activities on the environment. Port and shipping activities affect their cities, hinterlands and associated supply chains, as well as the immediate quaysides. Their impacts are far-reaching. Given the range of pollution pathways, environmental management can be very challenging. This initiative was introduced in 1997 by several proactive ports. The aim was to improve environmental management by raising awareness on environmental protection through cooperating and sharing knowledge between ports. EcoPorts is a system developed by ports, for ports. 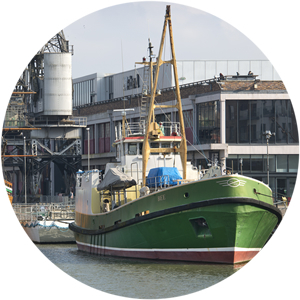 By encouraging the free exchange of experience on environmental issues among its members, it implements the European Sea Ports Organisation (ESPO) policies. Fully integrated into ESPO since 2011, EcoPorts is the principal environmental initiative in this sector. Self-Diagnosis Method (SDM) – a user-friendly, generic checklist allowing members to identify environmental risks in their port and prioritise responses. Members can compare their SDM score with the European average, and get an expert review with specific recommendations. It is a powerful tool for improvement. Port Environmental Review System (PERS) – a certificate assessed by Lloyds Register which is valid for two years. 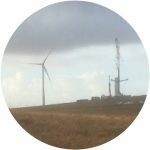 It covers the general requirements of established environmental management standards (ISO 14001), and includes port-specific detail. Every port is unique in one way or another, whether by geography, hydrography, economic performance, socio-cultural characteristics, commercial profile, legal status or more. The challenges faced by one port may not affect another. EcoPorts data has shown that port size is a key factor in the environmental issues and development challenges experienced. 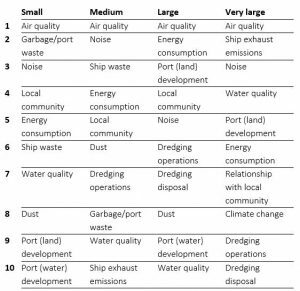 Table 1 highlights the relationship between port size and the main issues faced by the port sector as a whole. A sector-wide ‘one-size-fits-all’ approach is clearly not appropriate when choosing priorities, best options for development and the practicalities needed to deal with local circumstances. For example, though air quality appears to be most important for all, the significance of water quality as an issue varies considerably. The priorities in the port sector have also changed with time, as a result of changes in legislation, political priorities, social expectations, technology, commercial profiles, and accidents and incidents that have occurred. Climate change now features in the top 10 priorities. EcoPorts has been invaluable in helping the port sector and individual port authorities to tackle the challenges of environmental management. 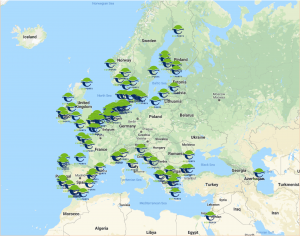 The EcoPorts network has 98 members (including 32 PERS-certified and 50 ISO-certified ports) representing 24 countries, and continues to grow. It aims to help more European ports prepare for the environmental challenges of tomorrow. WHS provides a range of water-related consultancy services for the port sector. We can assess the flood risk associated with new developments from a variety of sources, such as tidal, fluvial and surface water. We can also examine the impacts of new structures (eg. marinas, jetties, and breakwaters) on the local wave climate, hydrodynamics and sediment transport, as well as investigating the impact of a new outfall on water quality.